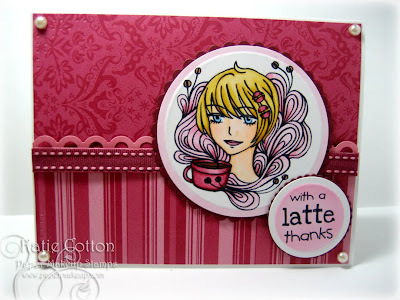 Paper Makeup Stamps: September Sneak Peek day 6... Coffee anyone?? As the summer winds down and we head into Fall, one thing that i always cant wait for is all those warm yummy drinks! Ok, so i still drink coffee in the summer, but once the fall and winter hit is when you can get all the best flavors! 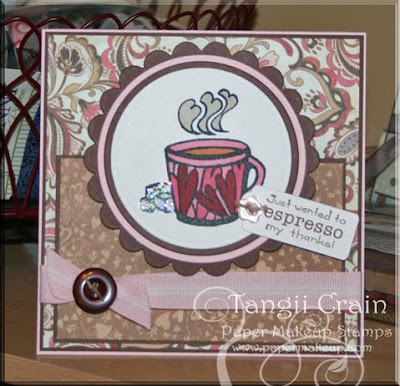 This new set called Caffeine Trip is a combo of our 2 newest designers to the team. 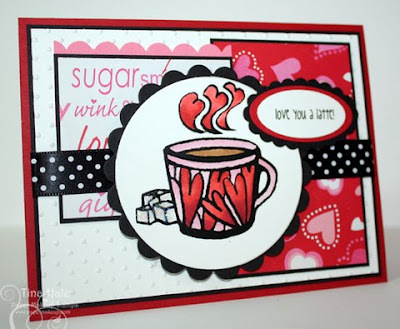 Cynthia Liu dreamed up these super fun and different coffee images while Shaela put together some fun and fabulous wordart. Together, this will become a staple set for me i'm sure! Take a look here at what they came up with! And just look at how nicely Moody for Coffee (same fabulous illustrator!) goes with these sentiments! This is a must have for me! LOVE all of the images! Fabulous cards as usual! At first glance I thought...another coffee set? But this one if fun and a little funky! LOVE it! All of these new stamp sets are so fab and unique! I love this one! So warm, friendly and versatile! How totally cute! 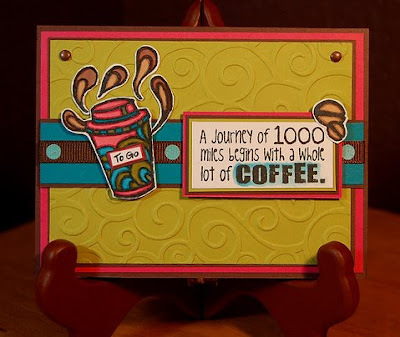 Love those sentiments, especially the 1000 mile journey! I guess I'd better go fix my latte now! Oh, this is totally a must-have set!!! I love it!! what a fun set. definitely right up my alley. I can hardly function without some coffee each and every morning. A fantastic set!! Gorgeous samples as always ladies!! 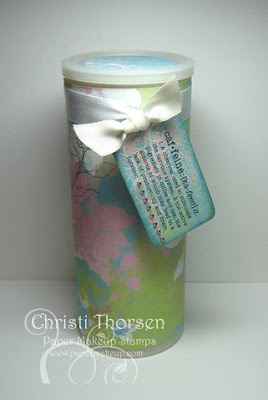 What fun stamps.....love all those wonderful projects you have shared. I'd love to win these!!! LOVE this set...gorgeous...thank you so much for this chance to win it. This set is awesome! Maybe since today is my birthday, it will bring me some luck. 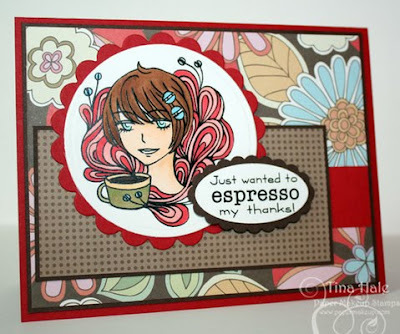 I love the combination of the moody girl with the coffee sentiments! They are perfectly matched and fantastic for adult cards. 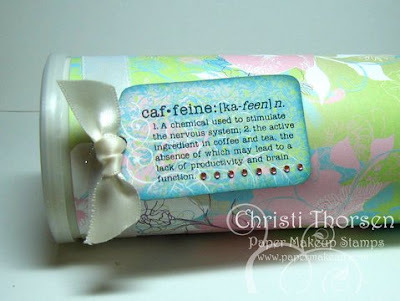 The definition of caffeine is a must for those of us who aren't human before our first cup in the morning! These are great! Can't wait to see what else is brewing! I love this set! It's so fun! I love coffee so this is just perfect! This set looks amazing! What fabulous creations! 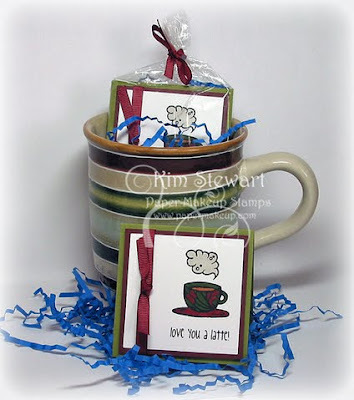 Oh my holy goodness, I do love my coffee but moreso love these stamps!! Wow did you all outdo yourselves! This set is fantastic! What a great thing to combine the talents of two designers! Have coffee will travel!!! Fabulous creations!!! Mmmm! Love coffee! Especially in the fall!